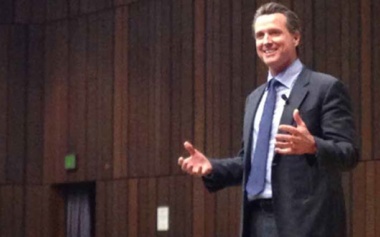 SVL: What you know today, what would the Gavin Newsom of today like to say to the young Gavin Newsom?GN: I would tell myself that success is not a place or a destination; it’s a direction. There is no “having made it.” As Winston Churchill said the secret to success is moving from failure to failure with enthusiasm. Don’t be afraid to make mistakes. Oh, and I would definitely tell myself to use less hair gel.SVL: Who have been your role models and who has ..